I dont really want a watch badly but I guess I've got only one quality time piece which is my Zenith, so for a next watch I'd like to have a AP Royal Oak offshore either this or the safari. my next immediate purchase will be a PAM88. my eventual purchase will also be an AP ROO. The Pam is a nice entry the 113 is a great watch as well, I love about them is the level of customisation with straps. I got into the personalising and ordered a alacantra strap with black stitching,black pvd buckle for my Bulgari Carbon gold. It will look good, cant wait for it to arrive. Kram, The AP ROO is one of the nicest watches, as like you its on my list. Rolex - i think i finally got past my issue with the sleazy car salesman image (i want a pepsi or blue two tone sub). exactly way better than the GMT2's solid silver/black. Last edited by PorscheFanatic; 09-26-2008 at 05:59 PM. When I first got into watches I felt the same way. Went through a ROO, VC Overseas Chrono, couple Pams, etc. Ended up picking up a SS Daytona unexpectedly and I have had it for a couple years now and have no interest in anything else. I don't know why, but the Rolex sports line (some, not all) is just timeless looking to me. I see too many people walking around with 44mm+ watches with 6" wrists and it looks stupid. 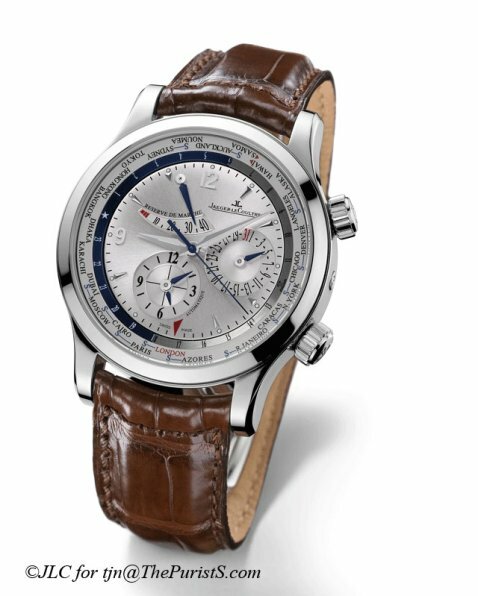 There are a couple watches I would like to own (PP 5070, RG RBII, RM Chrono tourb), but I just don't feel comfortable wearing a $100k watch. Felix, great minds think a like my friend.....PROPS to you. Felix: My gf's dad has an auto AP, it's a lovely piece. I agree with you Jared - if i were to blow 100k I wouldn't buy a single watch, i prefer diversity.